Recent analysis of sequential algorithms resulted in their axiomatization and in a representation theorem stating that, for any sequential algorithm, there is an abstract state machine (ASM) with the same states, initial states and state transitions. 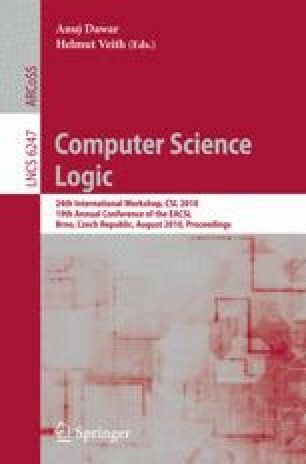 That analysis, however, abstracted from details of intra-step computation, and the ASM, produced in the proof of the representation theorem, may and often does explore parts of the state unexplored by the algorithm. We refine the analysis, the axiomatization and the representation theorem. Emulating a step of the given algorithm, the ASM, produced in the proof of the new representation theorem, explores exactly the part of the state explored by the algorithm. That frugality pays off when state exploration is costly. The algorithm may be a high-level specification, and a simple function call on the abstraction level of the algorithm may hide expensive interaction with the environment. Furthermore, the original analysis presumed that state functions are total. Now we allow state functions, including equality, to be partial so that a function call may cause the algorithm as well as the ASM to hang. Since the emulating ASM does not make any superfluous function calls, it hangs only if the algorithm does. Blass was partially supported by NSF grant DMS-0653696. Dershowitz was partially supported by Israel Science Foundation grant 250/05. Part of the work reported here was performed during visits of the first two authors to Microsoft.